You already know what a beautiful place Doctor Phillips, Florida is to call home, and how much you love living so close to all the amenities of Orlando. You also know how hot and humid it can get in this area, especially in the summertime. The subtropical temperatures were part of the attraction originally leading you to call this place home or to set up your business here. The summertime temperatures and humidity can also be overwhelming, especially when you experience an air conditioning malfunction or failure. Fortunately, the expert AC service Doctor Phillips needs from DC / AC Air Conditioning and Heating is reliable, trustworthy and close at hand. DC / AC Air Conditioning and Heating has earned a reputation for hiring and retaining exceptional HVAC technicians and for sending only the best to your home or business to deliver the Doctor Phillips air conditioning repair residents and businesses have come to expect. 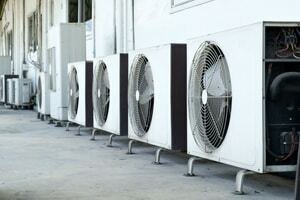 We know when someone calls for air conditioning service, they want the best sent to them. We keep that in mind when sending our technicians to you. Every professional HVAC service and repair specialist we have representing us is hired from the best in the field. They have extensive knowledge in all the nuances of all the current systems, and in complicated facets of the newest and most advanced air conditioning and heating systems. When our technician arrives to do the AC repair Dr. Phillips relies on, your system will be thoroughly checked and diagnosed so you’ll know exactly what needs to be done to restore it to good working order. We also believe in providing exceptionally affordable AC repair Doctor Phillips residents appreciate. Contact DC / AC AirConditioning and Heating today for a free estimate. Call (321) 436-6595. Having received an A+ rating through the Better Business Bureau and a mention as the Best AC Company by the Orlando Sentinel Best Bets, we’ve worked hard to gain a terrific reputation. 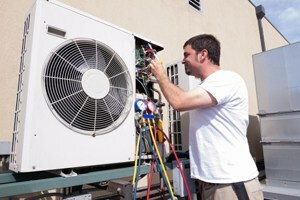 We believe you’ll see that in every interaction you have with the specialists from DC / AC Air Conditioning and Heating. The summers and long and hot, and that’s just the way we like it in Doctor Phillips and in the central Florida area. Here you have a true partner in AC repair in Doctor Phillips Florida who also happens to be your neighbor. We take your concerns seriously. Just let us know exactly what you’ve noticed with the performance of your system and through a complete evaluation and diagnostic check, we’ll let you know exactly what needs to be done to restore your system to its best working order. The expert AC repair Doctor Phillips needs is as close as your computer or your phone. DC / AC Air Conditioning and heating supplies exactly the AC Repair Doctor Phillips needs to stay cool and comfortable, no matter what weather patterns move through our area. Our trained, professional technicians are constantly being kept up to date on all the nuances of a wide variety of air conditioning and heating systems so we have a thorough and comprehensive understanding of the workings of each. You know when you call for service that you’re getting true expertise, delivered with a focus on integrity, professionalism and exceptional service.